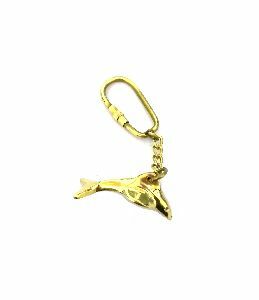 Nautical Brass Dolphin Fish Keychain. Made from pure Brass. 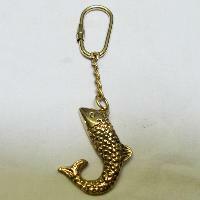 Avail, from us, Stylish Brass Fish Keychain . 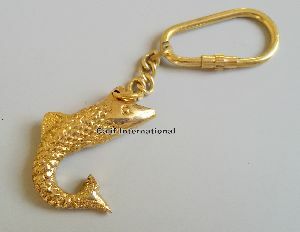 High-grade brass and other raw materials are used while manufacturing these Brass Fish Keychains. 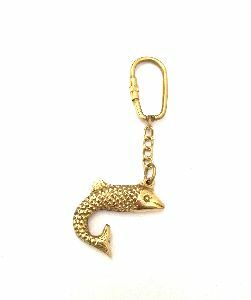 Brass Fish Keychain is light in weight and is appreciated for its attractive look. 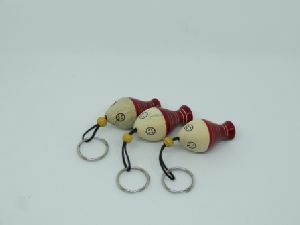 We provide excellent packaging of Brass Fish Keychain ensuring easy and safe delivery. This is a beautiful specially handcrafted piece of toy from the house of channapatna. This wooden key chain is lacquered using natural colors. This wooden key chain is in the shape of fish which kids would love to posess. Suitable for return gifts for birthday parties and kids parties. Brass Fish Keychain. Made from pure Brass.